Ukraine's Interior Minister Arsen Avakov has accused Russia of deliberately refusing to put Viktor Yanukovych and other former high-ranking officials on the CIS wanted list. 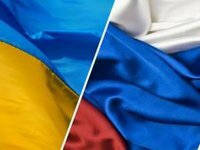 "The Russian prosecutor general (…) is manipulating the truth when he says that 'the Russian Prosecutor General's Office has yet to receive requests from Ukrainian counterparts for the extradition of Ukrainian ex-president Viktor Yanukovych and other politicians," Avakov wrote on Facebook on Monday. "The request for extradition of a wanted person or a criminal is made to the authorities of the country where the wanted person was detained as part of a search announced earlier. Russia, in accordance with its commitments under the CIS agreements regarding the search for criminals, was obligated to put the individuals requested by Ukraine, Yanukovych and 23 other individuals, into the search system," Avakov claimed. Russia has ignored the documents regarding the 24 fugitives who formerly held high posts in Ukraine, in particular: "V.F. Yanukovych, M.Y. Azarov, A.P. Kliuyev, V.P. Pshonka, O.H. Yakymenko, V.Y. Zakharchenko, V.I. Ratushniak, V.V. Koriak, P.M. Fedchuk, O.V.Yanukovych, E.A. Stavytsky, S.V. Kurchenko, S.G. Arbuzov, O.V. Klymenko, M.V. Prysiazhniuk, R.R. Kuzmin, O.A. Tsariov, Y.V. Kolobov, R.V. Bohatyriova, H.B.Dzekon, and O.V. Dynnyk," the Ukrainian interior minister said. "Apart from these characters, a total of several dozen people of a second row, suspected of crimes against Ukraine, were artificially not declared fugitives, in Russia and the CIS," Avakov added. The Ukrainian Interior Ministry is preparing documentation to exit unilaterally the CIS fugitive search system, the minister said. "To all the CIS member states, we will send proposals of bilateral cooperation in this area," the interior minister said. Russian Prosecutor General Yury Chaika said earlier that his office had not received any request from the Ukrainian counterparts for extradition of Ukraine's ex-president Yanukovych and other politicians.